Jack Harrison (22) of Leeds United during the EFL Sky Bet Championship match between Swansea City and Leeds United at the Liberty Stadium, Swansea, Wales on 21 August 2018. Leeds United could be best described as apple crumble last season. In fact any crumble you want but you obviously get the picture. If Leeds United could be best described as a sinking ship last season then the two holes that let the water on board initially are probably represented by trips to the New Den and Hillsborough. A 1-0 defeat at the hands of Millwall in London started it, and after a defeat at Cardiff City, which was probably expected given their form we headed to Sheffield Wednesday on a Sunday afternoon. Expectation was rife and Samu Saiz showed early signs that Thomas Christiansen’s side weren’t having a wobble, and if they were it would end on turf closer to home than the pervious two defeats. We folded at the hands of our Yorkshire rivals, bullied and battered a 3-0 defeat was probably lucky for us. One year later we faced the same two questions. And more…Top of the league we headed to both games with some of our key players missing. Kemar Roofe, the Player of the Month in August and Pablo Hernandez, the PFA Fans’ Player of the Month have been out for both fixtures, as well as Gaetano Berardi and Patrick Bamford. This has made things extremely difficult and in both fixtures we’ve been staring down the barrel, 1-0 down in very different circumstances. We’ve been playing well and have been on top, but needed the bottle to get the goal. At Millwall Jack Harrison took a chance after we missed so many, late and it felt like a win. Last night was slightly different. We came out in the second half and it became apparent that we were going to throw everything at the home side. 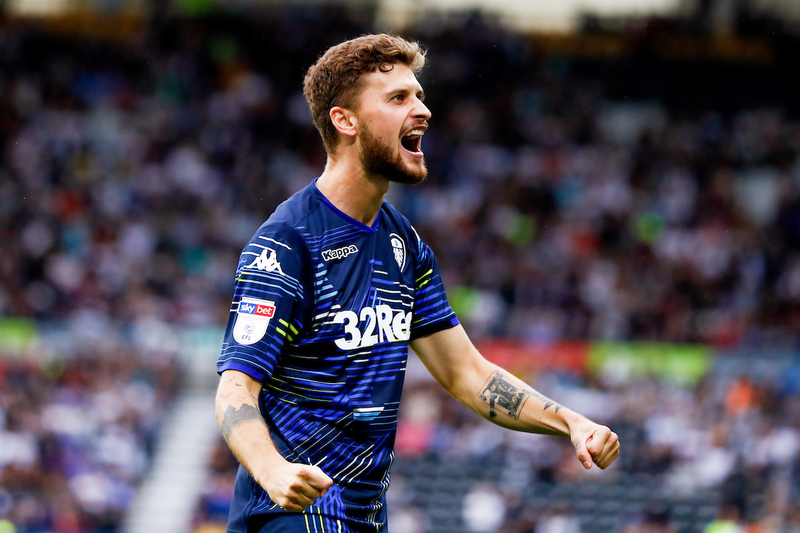 Mateusz Klich came up trumps with a stunner and after that it should have been four or five, but we couldn’t take the chances. The way we have ended the games show how different we are under Marcelo Bielsa. Long may it last.